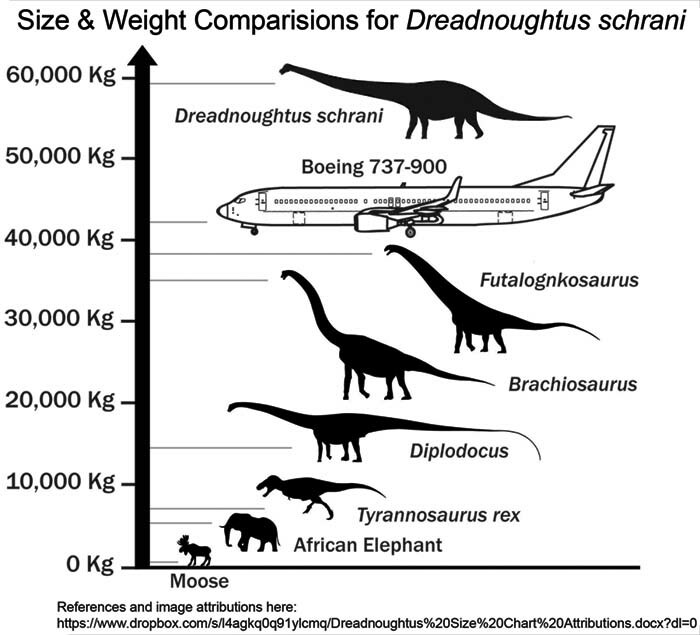 Downsizing a giant: re-evaluating Dreadnoughtus body mass. 2015. Biology Letters. 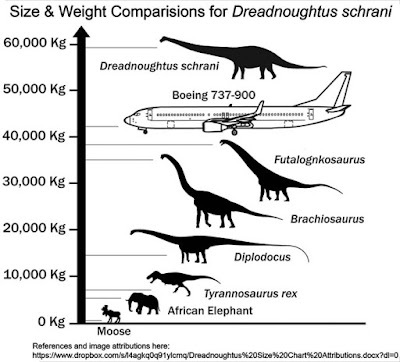 Scientists have shown that the most complete giant, 26 metres long sauropod dinosaur, Dreadnoughtus, discovered in South America in 2014, was not as large as previously thought. Now another group of scientists have used a three-dimensional skeletal modelling technique to examine body mass more directly and found that the mass of the Dreadnoughtus was more likely to be between 30 and 40 tonnes, considerably less than originally thought. Ah yes, the 'digitally dunking a toy model in water to measure displacement' method of estimating mass. I'll stick to the 'mass estimation' technique of Campione, et. al., 2014.